At Lock Electrical Contracting LTD we offer a range of electrical services to Industrial, Commercial, & Domestic Clients 24 hr call out. Here at Lock Electrical Contracting Ltd we are now available for installation, fault finding, maintenance, & alteration of Fike fire alarm systems. Domestic, Commercial & industrial. Electrical contractors covering all aspects of fixed wiring, including security, entry systems, SMART homes/internet of things and lighting design. High spec finish guaranteed. Buzz Electrical Services established in 2011 and have since been involved in a variety of electrical work from installing new light fittings, rewiring houses and offices to fault finding in leisure premises. Buzz Electrical Services operates from a 40 mile radius from Weston-super-Mare, North Somerset in the South West of England. Oakley Electrical Contractors was established in 2009. 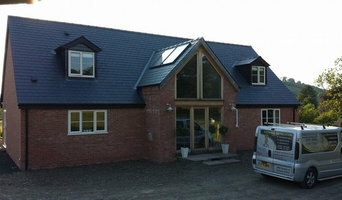 The company grew in Minehead Somerset. In 2010 we moved the business to the South Wales. There were many reasons for doing this, one of which was better accessibility to a greater customer base, the bigger area and easier access to the main Cities has proved a priceless tool in remaining a very Reliable and competitive outfit in all fields of the electrical trade. We have been in South Wales for 3 years. We have established a good client base with some Large Industries, Hotel and Bar Groups, Residential Care Homes, not forgetting our domestic clients and the Local Authority including Schools. We offer the same level of friendly, personal yet professional service across the board, there is no job too small. You can always rely on our friendly engineers. Energy Installs are a company that provides solar installation for homes, and businesses. We provide top quality installations that will help you create renewable energy for an endless amount of savings. I S Durnell is a Bristol based electrical contractor,currently employing 2 staff, and are fully qualified for all your domestic electrical requirements. 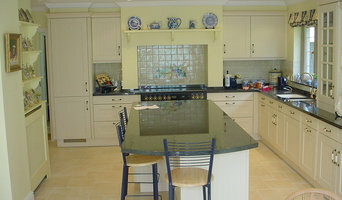 We have experience dealing with the domestic market for over 25 years and pride ourselves on the work we carryout. We have worked on all types of housing, from Victorian terrace homes to modern new builds and from flats to georgian mansions. 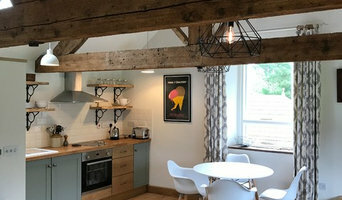 Actively involved with refurbishment projects with builders, and helping existing homeowners with new projects, such as bathrooms and kitchens, listening to their needs and offering advice where required. We also carryout extensive works for commercial clients which involve office uprades for lighting and power, and to assist shopfitting companies on a range of works, to various clients. We carryout electrical inspection and testing to both the private and commercial sector, involved in both fixed wiring inspection and testing and also portable appliance testing. I S Durnell is an N I C E I C registered electrical contractor based in Kingswood, Bristol, UK, specializing in the domestic market. We believe the the essence of a good electrician is three fold : efficient, reliable and great value for money, and we deliver all three. Ian and his team have worked in the Bristol and the surrounding area for the last 25 years, working on both domestic and commercial contracts. We undertake all aspects of electrical installation, from single sockets to complete rewires, and from showers to fuse boards. Our experience also covers maintenance and fault finding works and we specialise in electrical inspection and testing. For your peace of mind, all work carried out and registered with the NICEIC carries a full 6 year insurance backed warranty, and full notices to local authority building control, as per part P of the Building Regulations. A sample of our work is independently inspected every year to ensure our ongoing compliance. We currently hold £2,000,000 of public liability insurance, and employers liability insurance. Please feel free to click on a section to find out more. Should you require information on any aspect of your installation, or indeed you have a project in mind, please contact us for a free no obligation quote, or just for some professional advice to help you on your way. We look forward to working with you. Domestic, industrial and agricultural installations no matter how big or small. With over 10 years experience working with all types of electrics a wide range of knowledge, AJP Electrics puts its customers needs 1st. All installations are completed to the highest standard. TouchScreen ReliableElectricians are a Cardiff based family business with over 40 years industry experience. We provide an Electrical contracting service to our Domestic and Commercial clients. We are one of the best electrical contractors in Bristol, if you need anything done at all for your home or business please contact us. 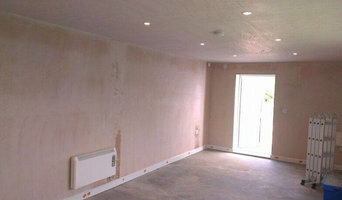 Electricians in Bristol can handle all sorts of jobs, from small to big, when it comes to domestic electrical work. If your home project is a large one, you’ll probably want to involve local electricians in the early stages and they can plan, alongside the architect and builder, how the wiring will be set up throughout your house. Single room renovation, or just updating elements of one room, will require less electrical work but hiring qualified, local electricians is still advisable. Electrical contractors will be able to install lighting, fix electrical sockets in place, set up large electrical appliances and wire up systems such as surround sound stereos. Talk to a professional electrician in Bristol about any special electrical projects you have in mind, such as some innovative outdoor lighting or some up-lighting in your hallway, to see if they can bring your idea to life. If a power cut leaves you in the dark, a fuse has blown or your plug sockets stop working, then you can find emergency local Bristol electricians with Houzz that can help you. You can find a qualified Bristol electrician fast for electrical repairs by checking our list of electrical contractors and professionals. Search for your area or postcode to see electricians near you. Find electrical contractors or local electricians on Houzz. 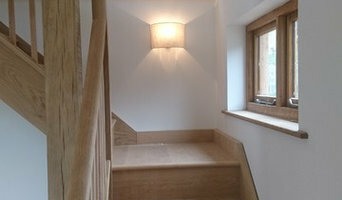 Narrow your search in the Professionals section of the website to Bristol electricians. If you’re planning a large-scale project, find other professionals on Houzz who can help get the job done. Here are some related professionals and vendors to complement the work of electricians: Lighting, Main Contractors, Solar Energy Installation, Heating & Air Conditioning.